Are you blindly saving toward retirement? Why are you saving in the first place? Probably to make sure you have a stream of income in retirement. In order to understand where to save, you need to first understand how you will actually draw upon your funds in retirement. Not knowing how you will draw upon your funds can be very costly indeed. By the time you realize the impact of your decisions, it may be too late to change your situation. We specialize in finding efficiencies in the way you draw upon your funds in later years, so that your money can work harder for you today and into the future. 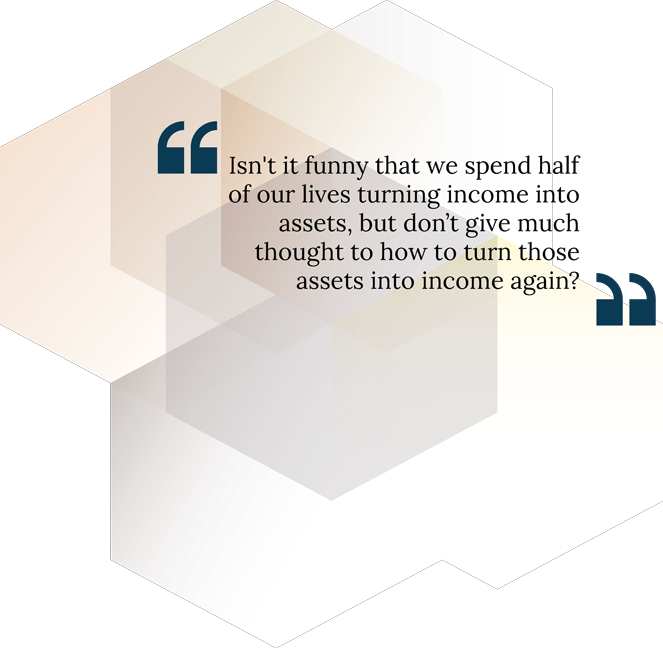 Whether you are just starting to save, or if you are well on your way, you can benefit from our unique wealth building strategies. Ours is a radically different way of looking at your money, intended to give you more economic clarity and control – so that you can have more confidence today regarding what awaits you when you finally reach your destination.